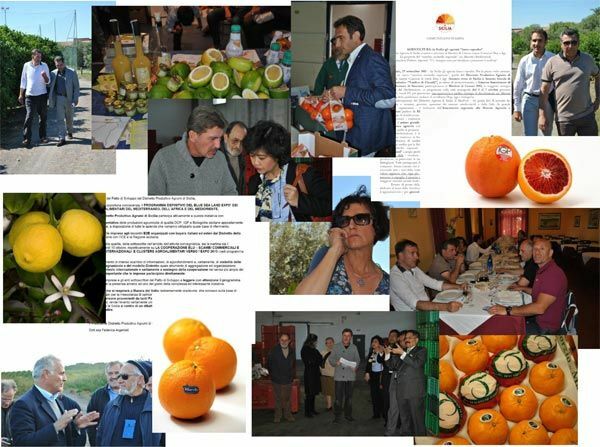 Of particular importance is the associative marketing activity which is, first and foremost, the result of a long and intensive networking in the territory which led to the transformation of the Red Orange District of Sicily, thanks also to the adherence of the Consortia operating in the quality citrus farming sector in Sicily and of numerous firms operating in all sub-sectors of the Sicilian agro-food production. The District Logo has been realized and communicated immediately after the District formation as a means of identification for all actors operating within the citrus production chain in Sicily. The sense of belonging to a territory and to a production chain is the basic principle behind a strategy to create a system. Communication with firms and with entities signatories of the Pact is also a very important means to transfer information on to actors operating within the citrus farming sector, with the purpose of increasing the number of firms within the citrus production chain and enhancing the District’s capacity for cohesion. From the first days of its existence, the District has made use of the e-mail listing tool and has kept up-to-dated with e-mail addresses, including those of firms and entities that did not sign the Pact but fell within the territorial production chain, in order to facilitate communication and information and to invite all actors to the various meetings and assemblies organised by the District. A Facebook page has been created to enhance communication with the production chain. A great number of meetings all over the territory, communication by phone and any other means to understand the needs of firms and entities already involved and of those to be involved. Transparency, information and a constant commitment are fundamental ingredients for our project. E-mail makes our communication faster, cheaper and more effective. Internet is essential for us today. The organization of meetings and assemblies, with the participation of all members among firms and entities, has allowed for moments of productive debates on important topics concerning the sub-sector. We listen to everybody’s needs and try to make a synthesis for the good of the system as a whole. Significant is also our presence in the national and regional press on sector-related and wider news (see press review), the press being an important instrument for making the District’s activities and objectives known to the public. 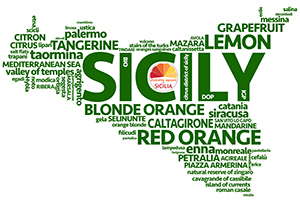 Another reason why citrus farming in Sicily must become an integrated system is that Sicilian citrus producers must confirm their presence on a national level, where they have always, though not constantly, been protagonists for surface area covered, know-how, specialization and history. Cohesion is very important to gain space and visibility. Cooperation, in the widest sense, is the basic instrument for our project, especially between producers enterprises. For the Citrus Production District of Sicily the territory is an integrated system based on team work at all levels for a shared strategy. There is no way out for our production sector, but to focus on quality. Small farmers should be supported and encouraged to the value of cohesion and aggregation in all possible forms. We make a more effective use of European funds for development. For this purpose we need a shared vision.